So I've been asked by adik Khaidir to post an entry on a brief on architecture. First of all, I'm sorry Khaidir, if this post took too long as I've been busy with works and my cousin's wedding ceremony, also trying to figure out proper words with encouragement in here. Might as well say that this post is for you guys whom are in high school, especially Form 5 students as I'm listing a glimpse of what you need to know before taking architecture as your course. Unlike accounting where there's answer on how to balance the numbers or medic where you'll learn of answers to cure illness, architecture, or more precisely, art, has no definite answer. There is no wrong or right in art as everyone has their own creativity. One could design animal-like building, another could design nature-like, but both are on the right path. The crucial part is whether your right path is acceptable or not, this, the lecturers are there to guide you. This was my first misunderstanding on architecture. The first two semesters, or at least in UiTM, you'll do sketching and creative works. such as interpreting mood into visual. Only on semester three you'll start learning real architecture, designing building but you'll have to take construction into consideration which might make your imagination design to put in hard work. In architecture you will have to pull an all-nighter (this might apply to all courses) especially when it's nearing to the submission deadline and your design got rejected in the last minute. This is where you have to prepare your physical, your health, as you won't dare to be sick and repeat the semester. Though it sounds like there's no life for architecture students, but hey, we do know how to have fun and we have fun events such as the workshop (click). Architecture lecturers and seniors are brutal during submission, they'll directly condemn your design like "design kau ni buruk tau tak" in front of the whole class or even tore your drawings. This is why you must not skip the class as in class is where you'll improve your design, gaining help from them before exhibit the drawings on submission day. But bare in mind that these people will help you despite all the sarcasm they spout off. When you're in your early year, you'll have to spend money on water colour, drawing tools, model making tools and stuff and they are expensive. When you're in your final year, you'll need to spend money on printing, where one A1 paper costs RM5 but you'll at least spend on 8 A1 papers on every crit session, where there'll be at least 4 crit sessions. But it all depends on you, if you don't waste your money on useless things and hipster cafes every weekend, you'll be okay. 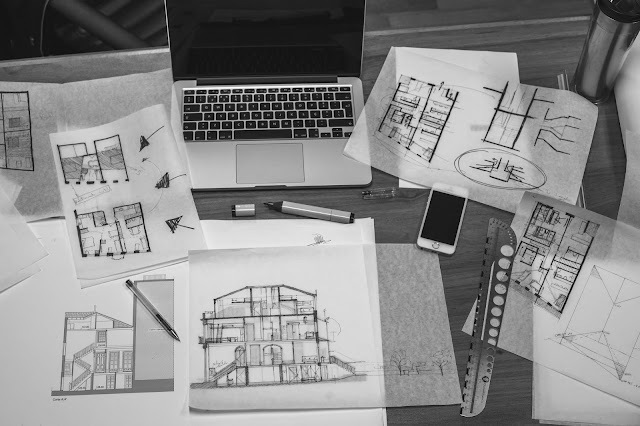 You don't have to be creative or good at sketching as these could improve but passion is the one thing you must hold on to survive architecture. I know that we shouldn't compare the difficulties of different courses but I still think that architecture is a very very very tough course, even to those who have the passion. So passion is the most important thing you must have because at least, when you have the passion, you'll enjoy doing it despite all the struggle. So there's my two cents on introduction to architecture, I hope it'll help you making the decision of whether to go for architecture or not. But just know that no course is easy or hard, it all depends on your effort. Not everyone born have specialties but remember that Allah gives us strength to struggle and not forgettable to pray & du'a. So depends on their capabilities and effort to achieve..
here's an entry of my blog. hope it will shine some light. this one more formal, more info, goes a bit details.. basicly everything is there... so if you really wanted to pursue architecture studies, do visit this link. thank you. that's a good sharing, thank you ! btw.. this is a good entry . keep it up sista!